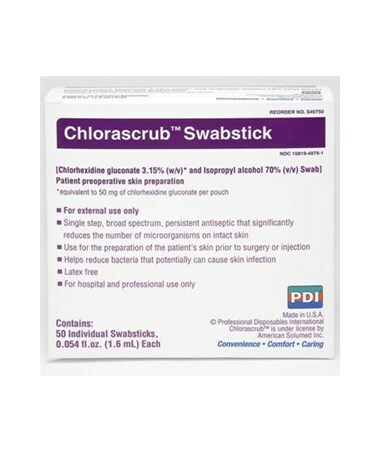 PDI Chlorascrub Swabs and Swabsticks, the first 3.15% Chlorhexidine Gluconate (w/v) and 70% Isopropyl Alcohol (v/v) skin antiseptic, are suitable for protocols demanding strict surgery-level skin antisepsis and pre-injection skin preparation. Chlorascrub Swabs and Swabsticks guard against pathogens like bacteria, fungi, yeast, and viruses. 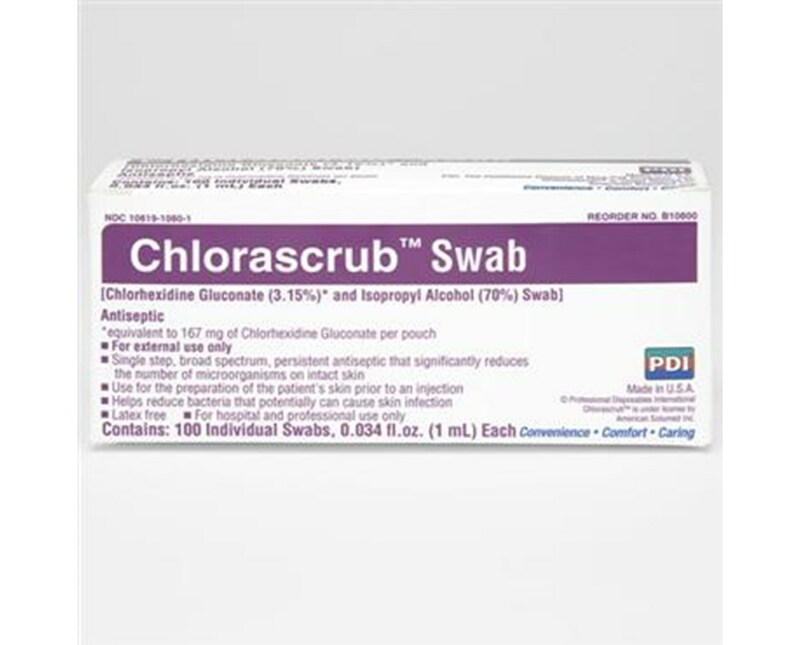 PDI Chlorasrub Swabs and Swabsticks dry quickly, conveniently minimizing wait time during procedures. Chlorascrub Swabs are 100% latex free and FDA approved as a topical antiseptic for the preparation of skin prior to injection. The Chlorascrub Swab is a small pad used to prep for pre-injection. The Chlorascrub Swab features an easy to use peel-apart package and a one-step swab proccess to quickly cover the injection site. Chlorascrub Swabsticks are ideal for pre-operative and pre-injection skin preparation. The Chlorascrub Swabstick is a square flat-shaped applicator allowing for better skin contact particularly in moist skin areas. 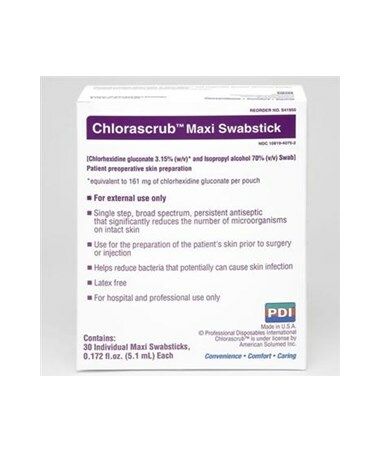 Chlorascrub Maxi Swabsticks are best for pre-operative and pre-injection skin preparation. The Chlorascrub Maxi Swabstick is a round, flat applicator designed for larger area, pre-operative skin preparation. 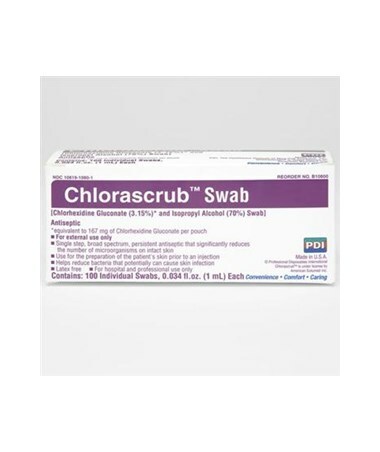 We offer PDI's Chlorascrub Swabs in three sizes, each sold by the box or the case. Select from the drop down menu above and order online direct by clicking "add to cart!"